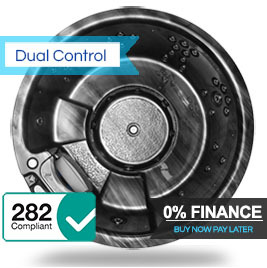 Assurance comes from our partnerships with the USA Balboa Water Group who create the world's best hot tub systems & global spa brand Zen Spas & Zspas. The Balboa systems are not the only outstanding feature of the range, from the strength of the stainless steel frames & the energy efficient enhanced insulation of our cabinets & spas covers to the finesse of the LED lights & the media players - each model has been meticulously constructed to appeal to both the eyes & the body, with hydrotherapy a very important part of our philosophy. 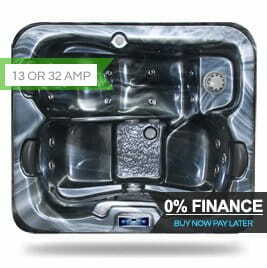 Our hot tubs for sale feature multi-ranging jets that offer aid for sufferers of arthritis, rheumatism, sciatica, aching joints, back pain, fatigue, insomnia, circulation, stress, muscular pain, stiffness, cramps & tension. 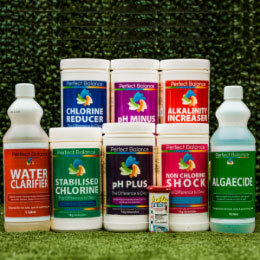 In 2016, 2017 & 2018 Hot Tub Suppliers won the Hot Tub Health Benefits Gold Award at the British Pool & Hot Tub Awards in a very special category that celebrates the life-changing benefits that hot tubs and spas provide consumers. The award provides the opportunity to really focus on the health benefits of a hot tub and spa ownership and how they can make an enormous impact on people’s lives. 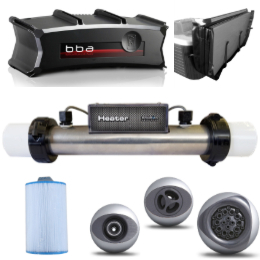 Hot Tub Suppliers are also affiliated members of BISHTA, the British and Irish Spa and Hot Tub Association. This of course then means the consumer benefits from dealing with a verified & trusted supplier. 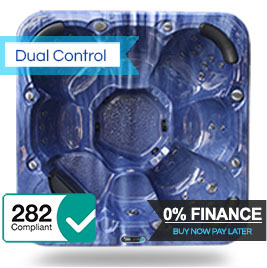 Dealing with a BISHTA member is a must for any new hot tub purchase as BISHTA members have passed a strong code on conduct in both product quality & business ethics. In November 2018 Hot Tub Suppliers won Bronze in the category best Domestic Hot Tub at the EUSA Awards, European Union Swimming Pool & Spa Association (EUSA) Awards held in Lyon France. 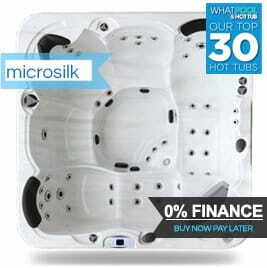 Best Proven Hot Tub Service & After Sales Support. The website has been designed to be strong both visually with accurate content. We have videos of each model brochures of each model plus many images & technical data of each design. 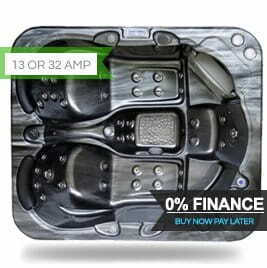 Our YouTube Channel alone boasts over 200 videos on tutorials & advice on the everyday running of a hot tub, the channel has proven popular with its unique 24/7 interactive support with playlists designed to support all our models with a clear & sharp visual aid. 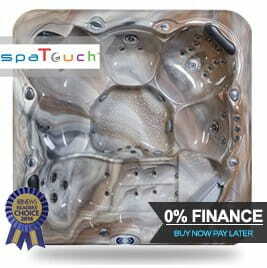 We are the only website with a portfolio so deep in content with the sole purpose of helping the hot tub user. 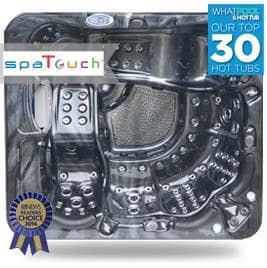 As well as offering cheap hot tubs for sale our customer service is a key area to our work ethic & we are proud of the customer reviews we have achieved. The buyer reviews section not only shows our work but also showcases our buyer's creativity with some inspirational garden design images. 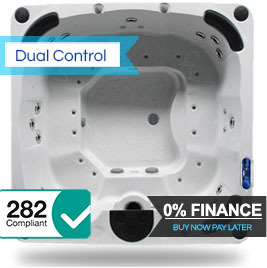 When you have selected the hot tub for sale from our range, we offer a service where you can choose an option to either pay in full or reserve your order for a fee of just or Apply For Finance. This offer beats most websites that require 25% of sale price or even more. 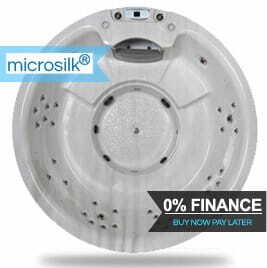 We also offer hot tub service & repair for spa owners both local & national. 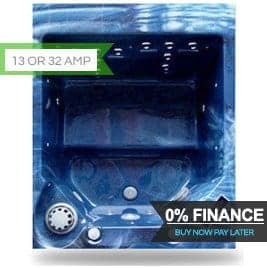 Our range of hot tub services ranges from a Platinum Service, Hot Tub Hibernate plus a new service product Hot Tub Rejuvenate, where we commision & flush clean owners of inherited or 2nd hand hot tubs. 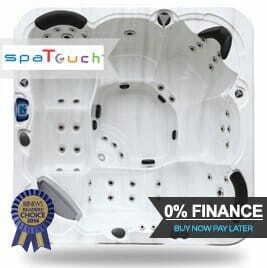 Fast & Efficient & Free Hot Tub Delivery & Placement. We are based centrally in Leicester & being so central we can offer the very best delivery network. 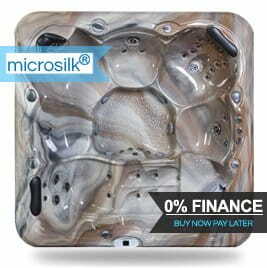 Our logistics team can offer a nationwide hot tub delivery service. We also travel to mainland Europe so if you have an enquiry, please do not hesitate to ask. 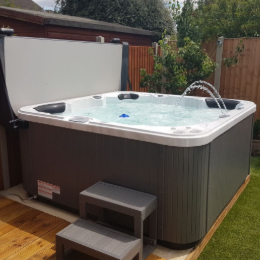 Another service we offer is our placement facility where we not only deliver but place the hot tub in a preferred position on your property. The delivery & placement service is free of charge and for more details read the hot tub delivery section of the website. We also can offer an installation service as well where will arrange an engineer to commission your model & this service starts at just £199. 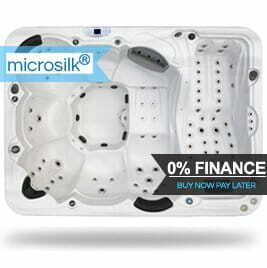 0% Fees For Credit Card & Debit Card Payments On Your Hot Tub. 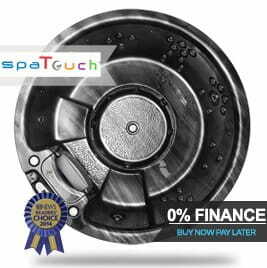 All our costs are transparent, there are no hidden fees for credit card or debit card payments, therefore, no shocks when you reach the last page of the checkout. 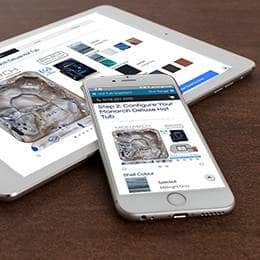 From our home page to the last page of the checkout, this website is designed specially to give clarity ease to your purchase. 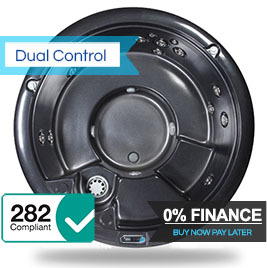 On the home page, the prices for all models including delivery are clearly written, our front to back price strategy means you know what you are paying throughout the checkout process. 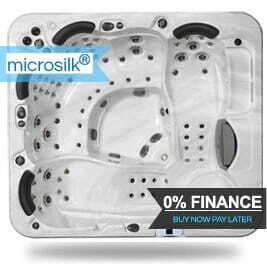 We also offer an option for 0% interest-free finance, where with a £0 deposit, you could be a proud owner of a hot tub from as little as £83.19 per month. This is a website designed for the consumer.